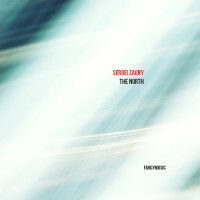 Sergei ZAGNY: The North (12 parts for soprano blockflute, 2002). Perf. by the composer. FancyMusic FANCY028 (http://www.fancymusic.ru/). Zagny (b. 1960, Moscow) has described The North as “music for breathing normalization / 2011-2013.” He wrote and recorded it in 2002, so the claim of therapeutic value arrives well after the fact. To me it’s simply music; your mileage may vary. Execution and sound are adequate to enforce the concept. FULL DISCLOSURE: I wrote US ads for Stax, 1988-95, but the pieces I use here predate that involvement.